I don’t know about you, but I imagine Makeup Revolution’s HQ to be similar to Santa’s workshop, with hundreds of elves running around thinking up and creating new products with hurry and haste just like it’s Christmas eve! 😀 I think I conjure up this image in my head because Makeup Revolution are forever bringing out new products, seriously, I don’t know how they do it! 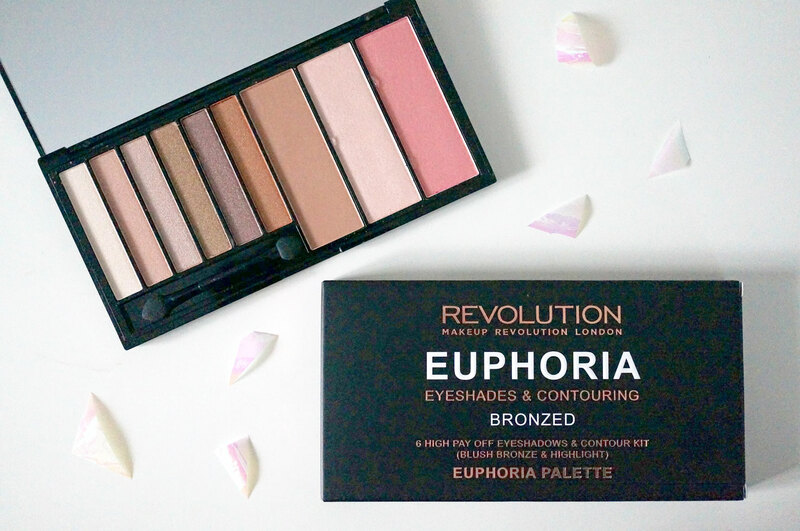 One of Makeup Revolution’s latest offerings is the b-e-autiful Euphoria Bronzed Palette. 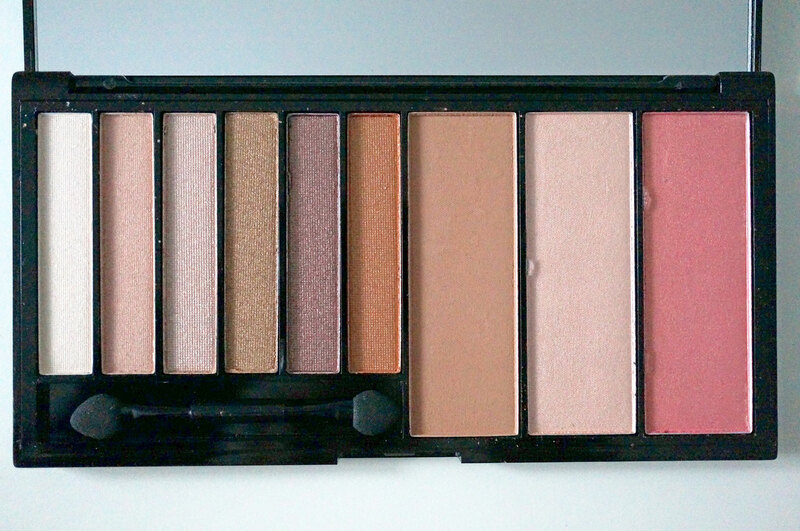 This handy little palette includes six neutral toned shimmer eyeshadows, and a bronzer, highlighter and blush. As soon as I saw it I thought – Urban Decay Naked on the Run DUPE! Well obviously it doesn’t have a mascara, eyeliner or lip gloss, but the eye and face shades are very similar indeed. The six shimmer eyeshadows are all beautiful easy to wear neutrals which would look great on either blue or brown eyes. The shades are fairly light toned – you won’t get a smokey eye out of these, but they’re perfect for daytime looks. The palette is the same size as Makeup Revolution’s other eyeshadow palettes and slim enough to throw in your bag for when you’re on the go. So here’s what the eyeshadows look like! Apologies for my not so great photography here! Hopefully this will give you at least an idea of the shades! 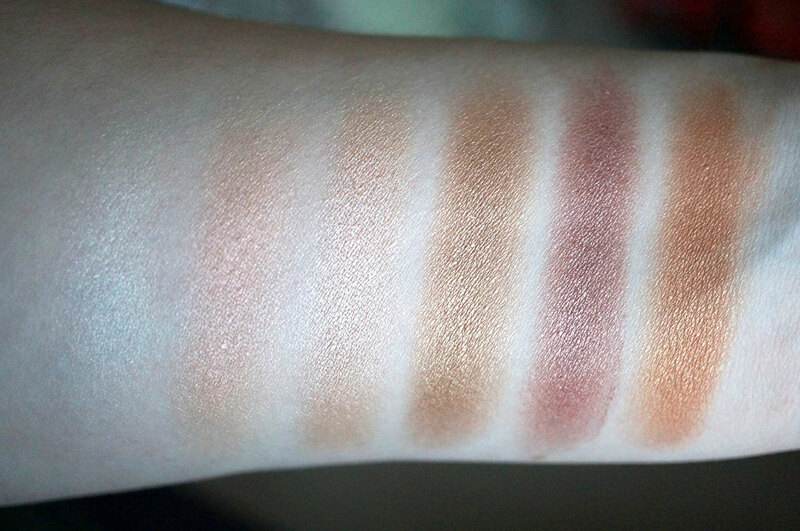 All the eyeshadows have a lovely texture that almost feels like a cream, even though they’re all powders. 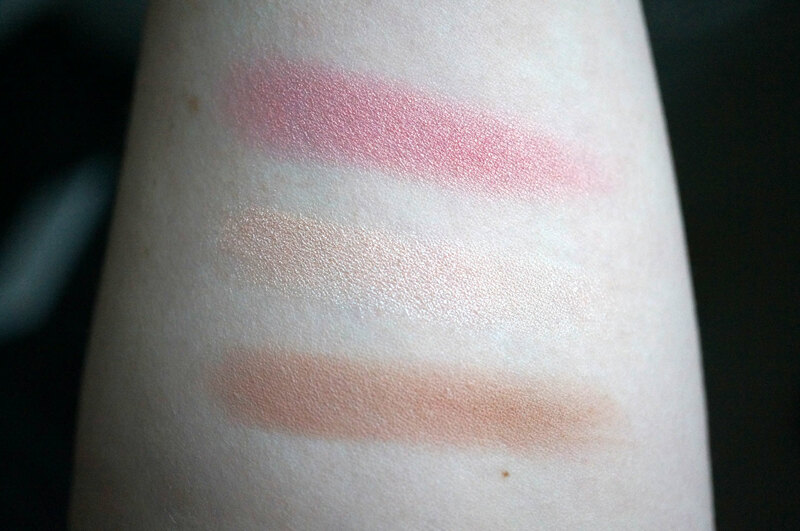 The three darker shades definitely felt easier to apply and swatch than the lighter ones. You can see the bronzer is a lovely warm toned brown, the highlighter and blush also have a beautiful iridescence to them which unfortunately my camera didn’t capture. Previous Post Christmas Gift Guide | Beauty Gadgets! Next Post My Top Five Red Lipsticks for Christmas!